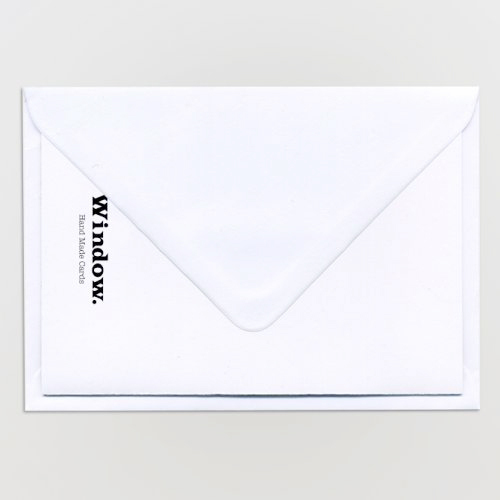 Wesley Lane | Christmas Cards | Window. 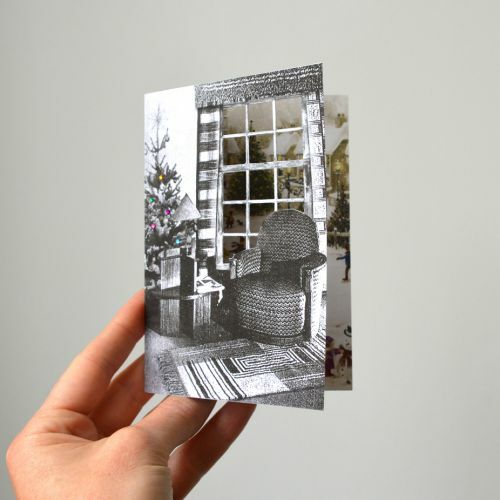 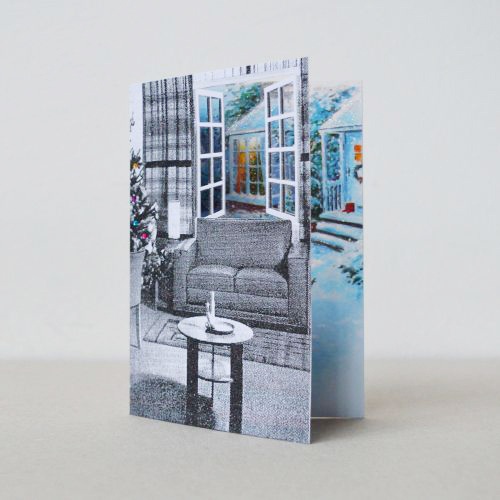 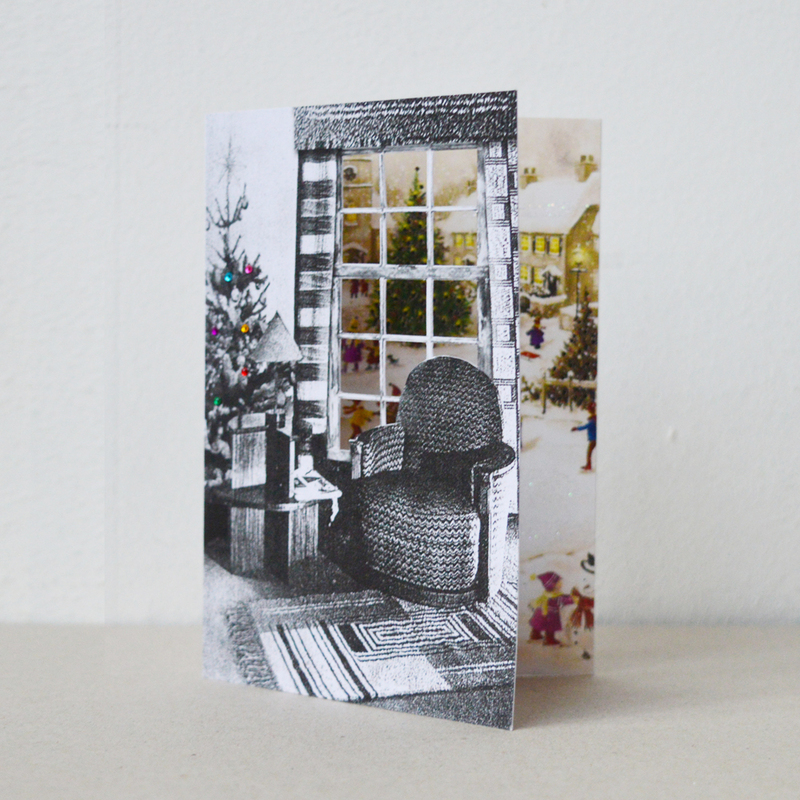 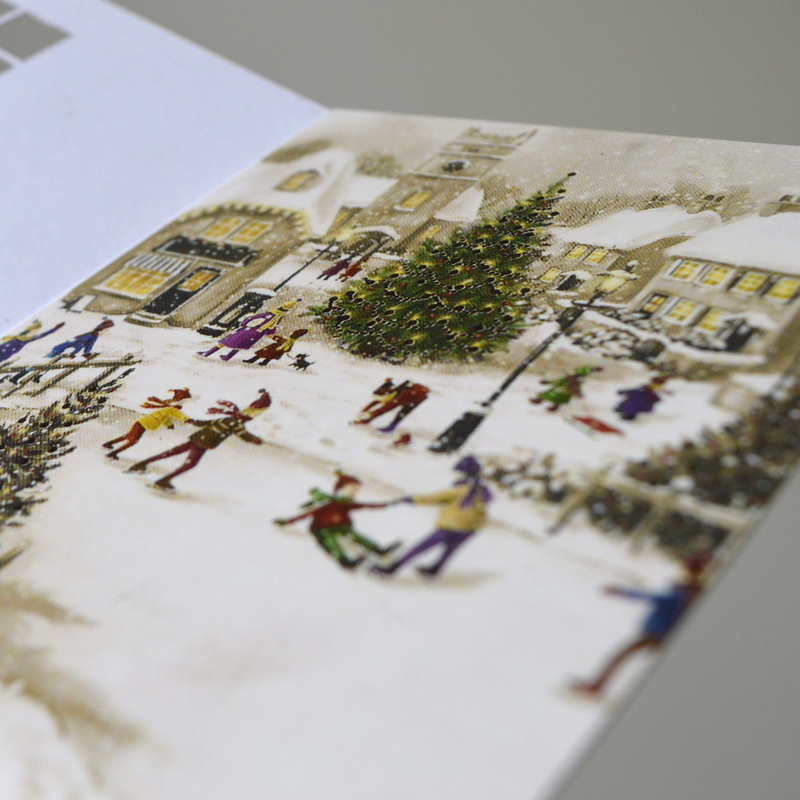 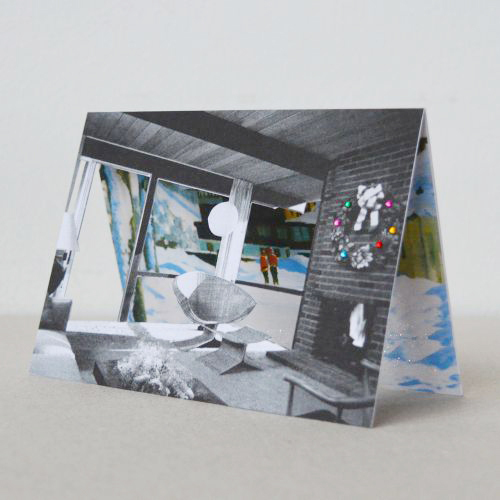 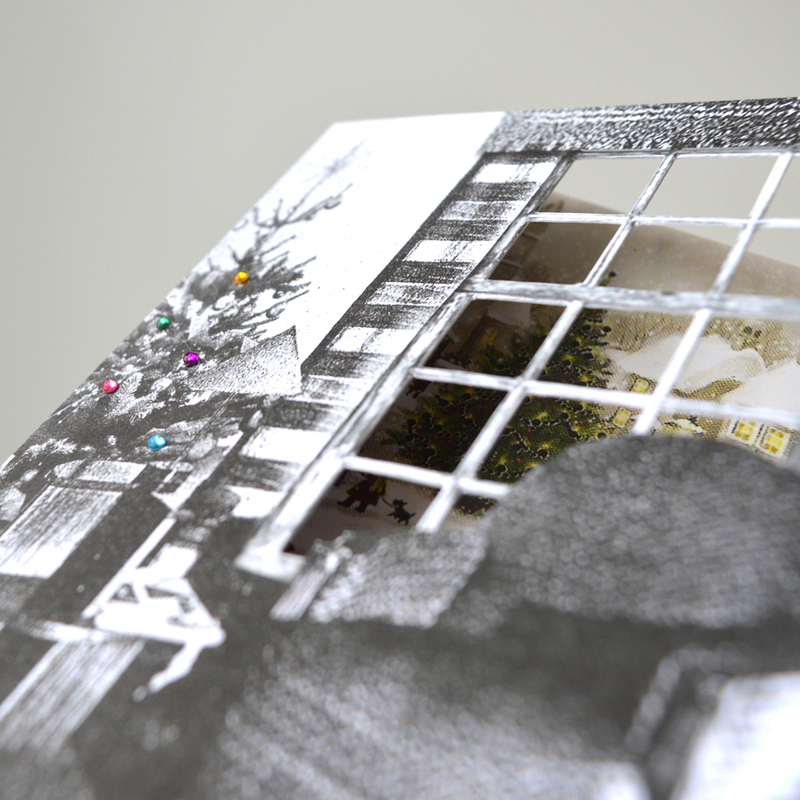 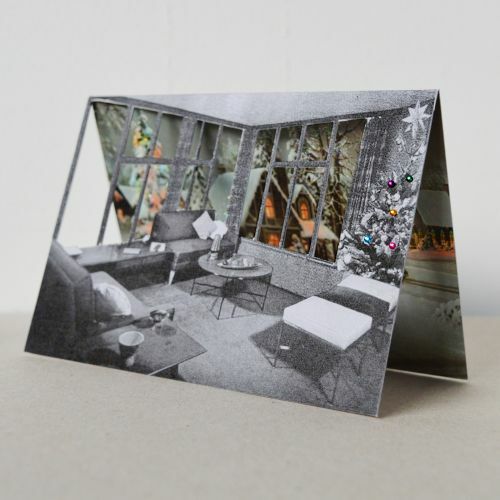 Cut out and finished by hand, the original 'Perfect Christmas' series consists of the classic christmas card scene that appears perfectly framed through the window of the black and white 1950s interior with glowing gem stone fairy lights. 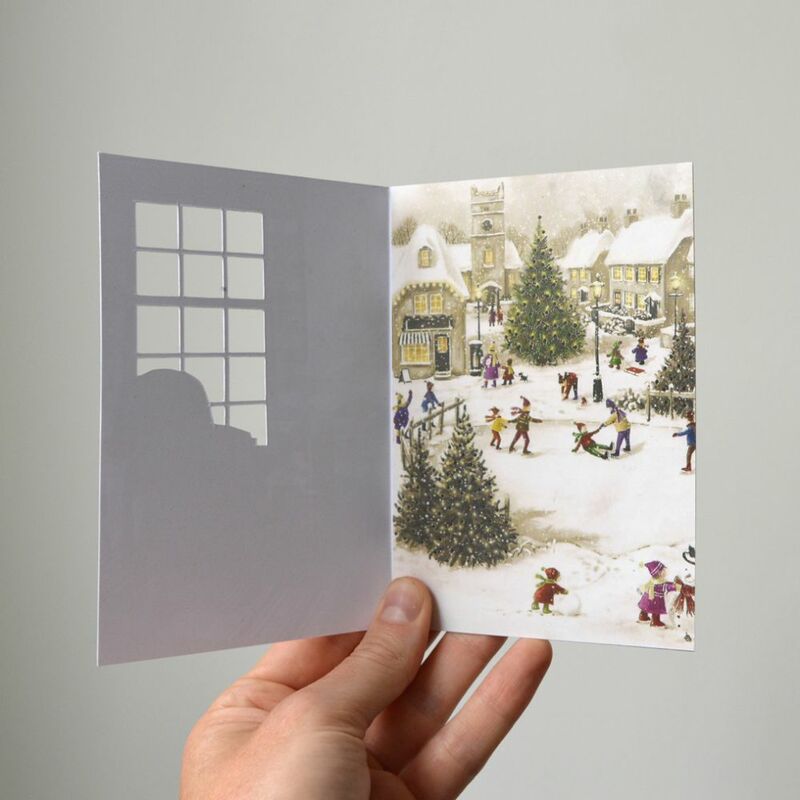 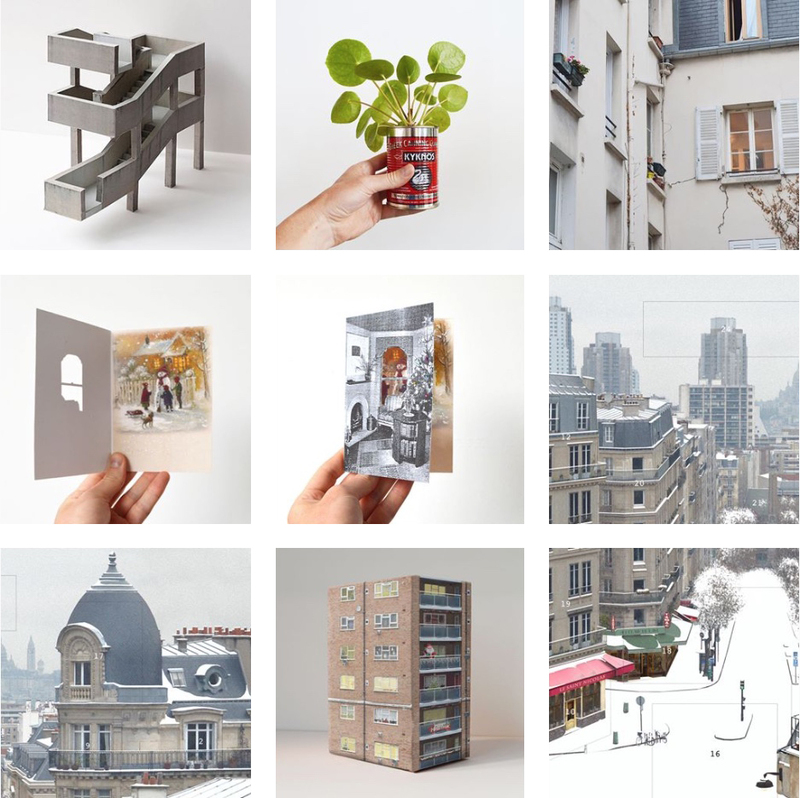 As a whole they are intended to suggest a room that will soon come to life with families venturing in from the snow on a magical Christmas day.